Don't worry about the fuzzy screenshot there. 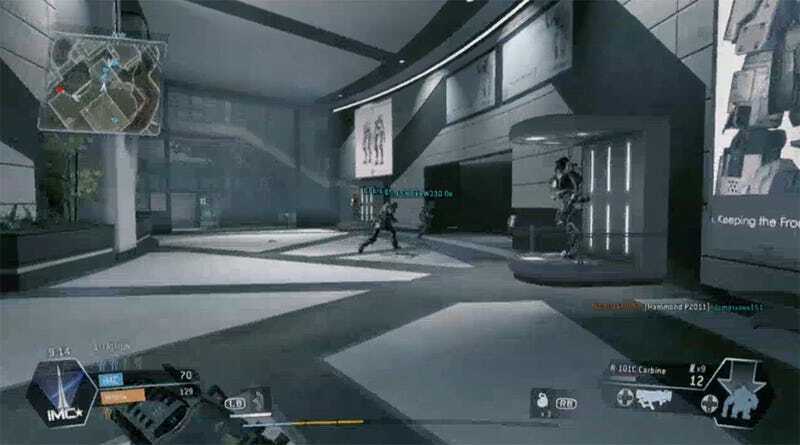 It's just a still from a live Twitch stream of Titanfall on the Xbox 360 being played right now. Now with HD video. EliteXbox360Gaming promises HD video footage will be going up on their channel soon. Until then, they're streaming live. Update — Their stream is over. Commenter YepYep also pointed out this archive of the game being played on the Xbox 360 earlier by Twitch user CityFlex. Update 2: EliteXbox360Gaming is slowly uploading 1080p videos to Youtube. Here's one of the first.